A contemporary home reflects many current styles that are sleek, clean and minimal. Contemporary is defined as spaces with smooth surfaces and clean lines. Colors are neutral, revering nature as the epitome of the aesthetic. 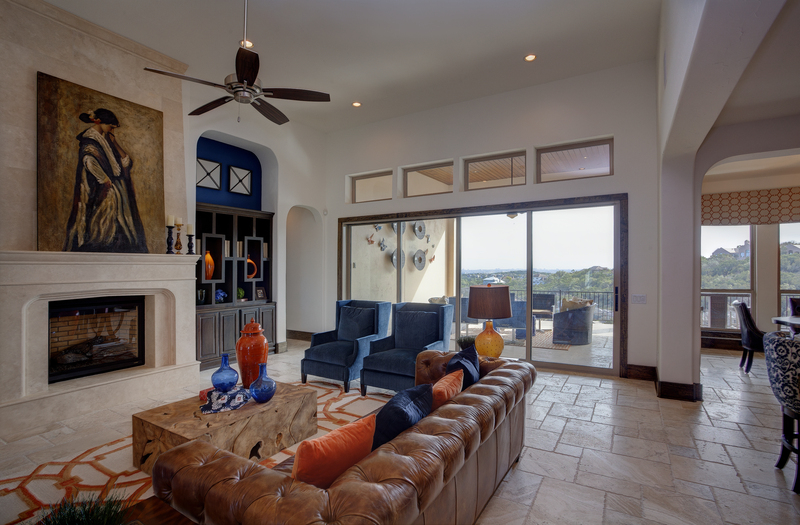 Here are 6 ways to add a contemporary look and feel to your home design. 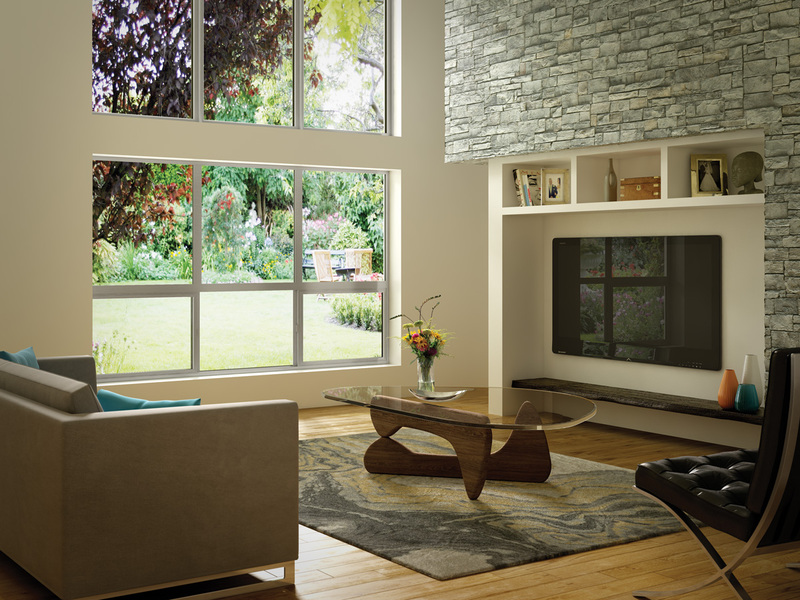 Contemporary style patio doors and windows have even sightlines and thinner frame profiles to maximize the view. Picture windows, Moving Glass Walls, and large doors paired with transoms and sidelights can help accentuate the design. This modern home exemplifies contemporary design with straight lines and large glass openings. The neutral colors blend into the natural surroundings. An aluminum sliding Moving Glass Wall System looks out to views of nature. The windows are left uncovered so as to highlight the straight lines and let in ample amounts of natural light. 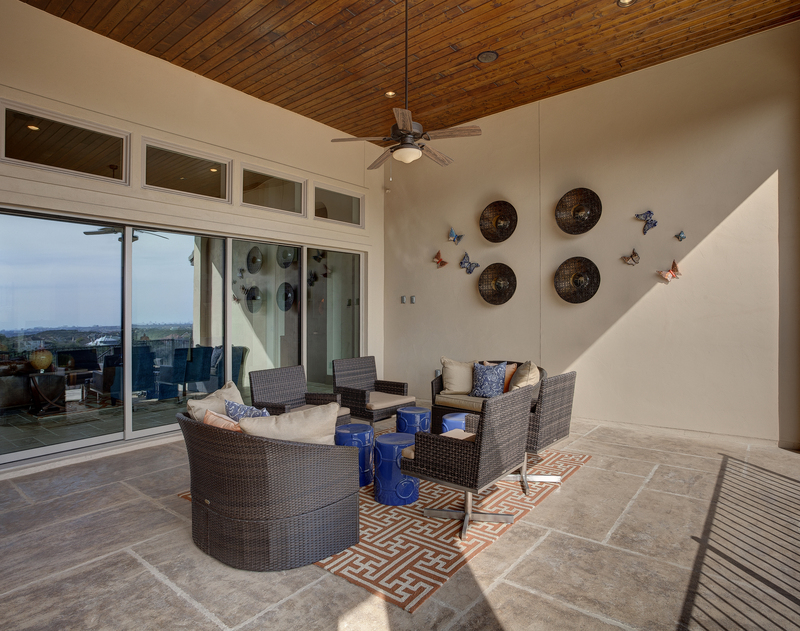 Large glass panels help to bring the outside in and embrace the popular indoor/outdoor living trend. Homeowners can relax and enjoy the outdoors while expanding their living space. Contemporary design emphasizes a clean, smooth surface. Window locks and hardware often protrude from the frame and are especially noticeable if painted in a different color. 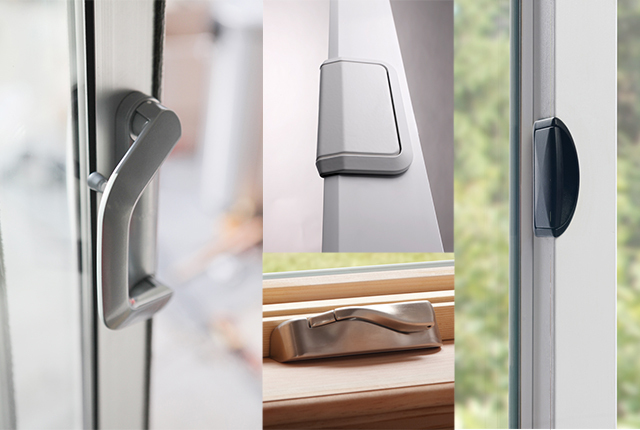 The SmartTouch® lock has an unobtrusive, low profile design that is integrated into the frame. The lock operates as both the opening handle and locking mechanism in the window. The SmartTouch door handle is of similar design that does not stick out, but is integrated into the rail. In keeping with the contemporary design, the tilt latch is also flat and smooth. Window shapes that promote a straight lined grid pattern, such as rectangles complete the look in a contemporary home. Additionally, furniture and decor with squared off corners help accentuate this look. Minimize the use of curved and rounded lines. 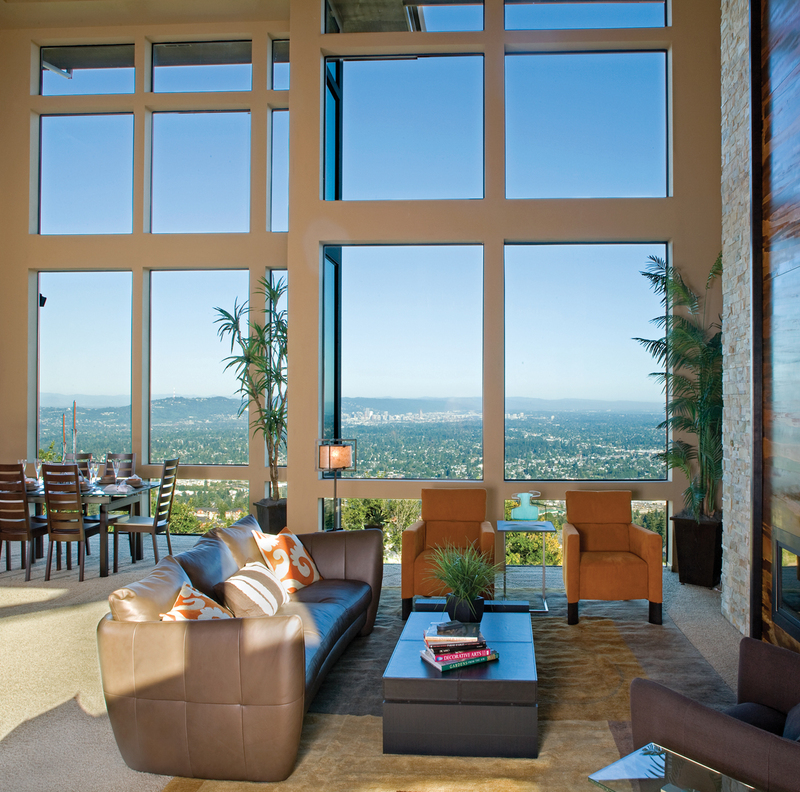 Windows and doors in contemporary homes are usually abundant. There is little adornment on the walls as the windows themselves become the ‘art.’ Windows in combination are used in symmetric design, which promotes a look that is pleasing to the eye. Picture windows with casements on each side, picture windows with awnings below, or picture windows with double venting horizontal sliders are the most common combination styles. 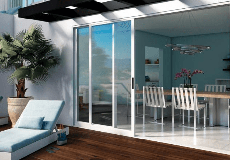 They provide a good amount of ventilation in the home with maximum glass coverage. Contemporary design is focused on inviting in nature, bridging the divide between indoors and outdoors. White, tan, bronze, sand, ivory…these colors are neutral, blending with softer tones to give focus on the view inside the frame. White on white is recommended for a clean open look, but black fames on white walls allow the windows to become the focal point of the room. Aluminum is a popular material for contemporary homes due to the narrow sightlines. 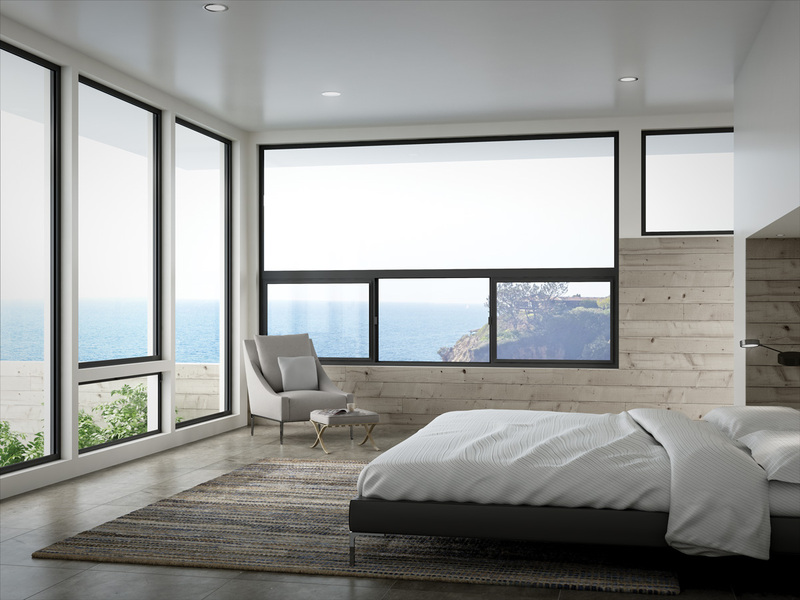 Milgard® Aluminum Series windows and doors are offered in three neutral colors: white, clear anodized, and bronze anodized. Large panels of glass enable lots of natural light to flow in and opens up the space. Rooms are filled with sunlight, creating energy from the expansive feel. To maximize the opening, the glass generally will not have grids. A contemporary home reflects many current styles that are sleek, clean and minimal. Simple, repeating shapes echoing balance and symmetry prevail. Focusing on these principles can help achieve the desired results in designing a contemporary home.